Holds sunglasses, with STTT logo. 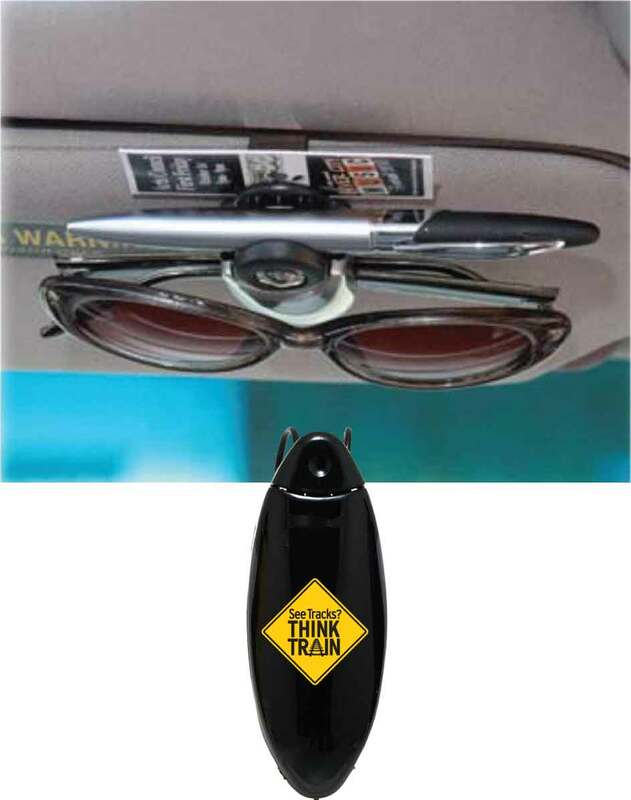 Never sit on your glasses again and keep the safety reminder message right in front of you at all times! This visor clip can also hold business cards, toll receipts/tickets, notes, spare pen...etc.